This network does not require a password, and is available for anyone to use on property. There is not cost to use the wifi. 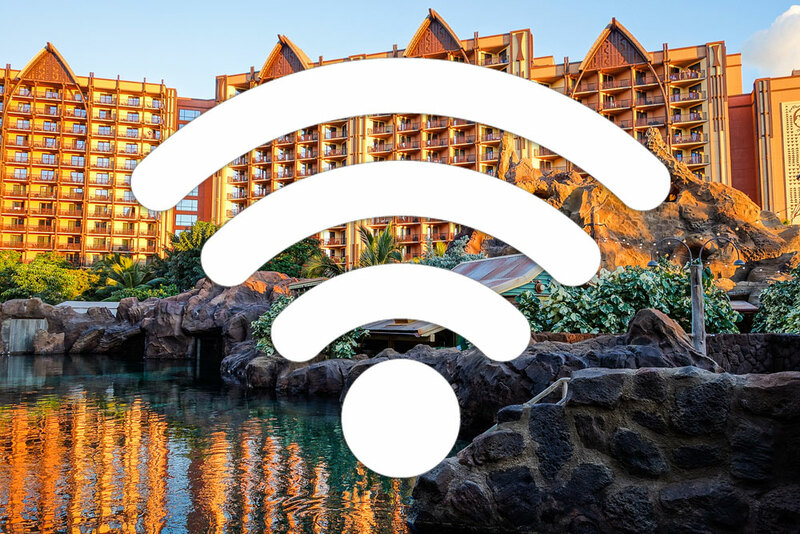 Once connected, you will have access all throughout Aulani, including in your room, restaurants, common areas, by the pools and even down by the beach. During my last trip, I did notice that the speed in my room was just ok (slower than home but acceptable) while the speed down by the main pools, away from the rooms was quite fast (better than at home). Also, once you got onto the beach, near the sides of Disney property, the signal was very week, though I was told then that Disney was adding additional hotspots near the beach to make sure the entire property was completely covered.